There are small updates happening at a rapid pace across our entire ecosystem of extensions, in preparation for the new shopping cart add-on (codename: CannaCart) that’s in the works (see teaser here). Instead of publishing short posts about each one individually, this post will give quick overviews of the updates to each respective plugin. Version 2.0 was released at the beginning of May, and not much else has been done to the core WP Dispensary files since then, in favor of other updates while collecting data from support requests. Fast forward three months and with other theme and plugin updates out of the way, there’s been enough response to v2.0 to start working on getting things in place for version 2.1. This release updates the public CSS to fix a couple of display issues. There’s also updates to the REST API endpoints, including updates to the Growers category endpoint and also includes new categories endpoints for each menu type. This update for our Inventory Management extension comes with updates that include code cleanup, as well as a new settings page where you can view your entire menu’s inventory on one page. The details come in rows on a table that lets you sort the table order by ID number, product name, category and inventory count. You are also able to update all of your inventory via this one settings page, just change the number in the stock field and it will automatically update the product’s inventory amount for you. 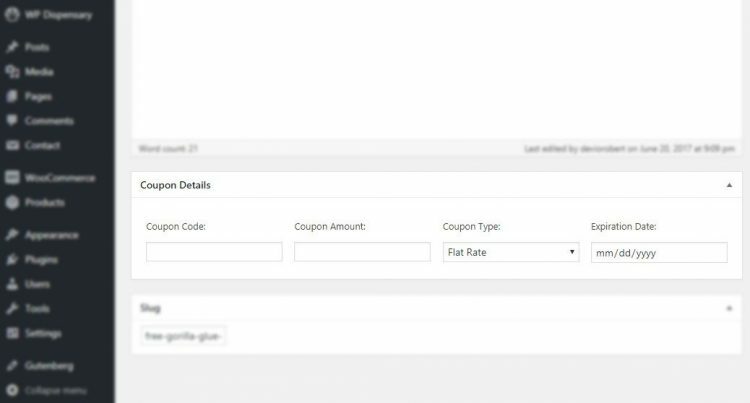 This release of our Dispensary Coupons add-on cleans up some code and also added in the new “Coupon Details” metabox, as seen in the screenshot below. 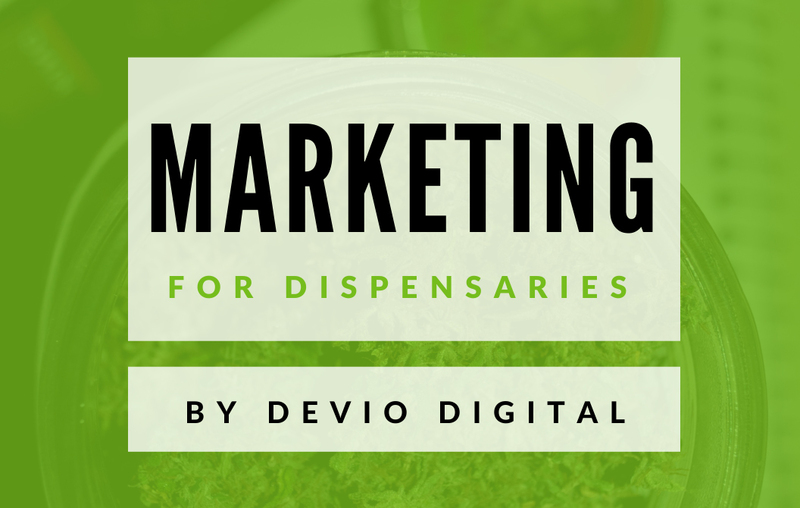 This has been put in place in preparation for the upcoming shopping cart release, which will allow you to add/edit coupons and use them directly in WP Dispensary’s shopping cart. Besides general code cleanup, this release of the Dispensary Locations add-on brings support for our Gear and Tinctures add-on’s, as well as some previously missing support for the Growers menu type. There’s some other smaller updates that will be pushed out over the next week or two, as well as more blogging about what you can expect with the upcoming shopping cart release. Want to stay up to date on what’s happening? Follow us on Twitter – more teasers will be posted to @WPDispensary soon!